The family of an autistic man say they believe disabled people are still not safe from their local police force, after two officers were finally sacked for gross misconduct for “shocking” behaviour during an incident in 2014. Despite the sackings, Bedfordshire police has quietly cleared other officers over their role in an earlier incident in similar circumstances and involving the same autistic man, Faruk Ali, from Luton. An eight-day misconduct hearing found that PCs Christopher Thomas and Christopher Pitts had breached police standards around honesty and integrity; authority, respect and courtesy; and discreditable conduct, in relation to the 2014 incident. Thomas was also found to have breached equality and diversity standards. Both officers had already been acquitted of criminal charges after a crown court trial. 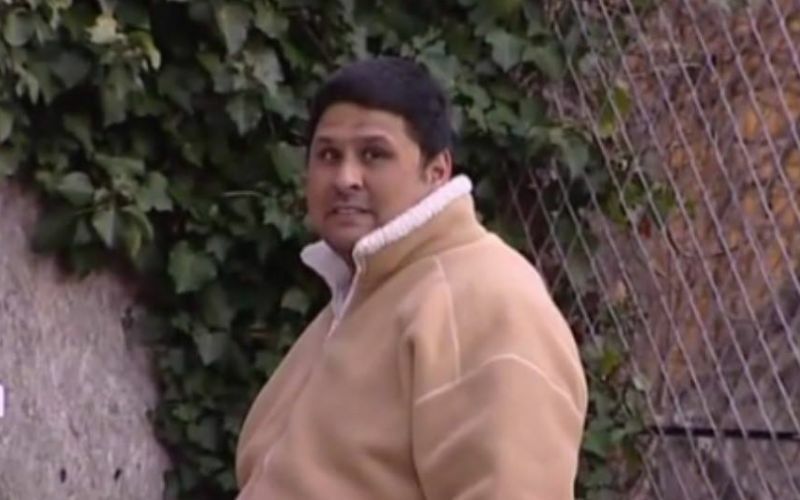 The family of Faruk Ali (pictured) have been campaigning for justice since he was attacked and chased into his own home on 20 February 2014 as he put out wheelie-bins at the front of his own and neighbours’ homes in Luton, as he did every Thursday morning. Thomas and Pitts later claimed they thought that Ali was attempting a “robbery”, even though he was wearing his slippers and was apparently just standing by a wheelie-bin. One person who witnessed the incident later told Disability News Service (DNS): “All he was doing was standing next to the bin. He wasn’t posing any threat. The passenger [in the police car]got out and didn’t even introduce himself. After one of Faruk’s brothers came out of the house and shouted that his brother had an impairment, the officer let go of him, and Faruk ran into the house, but the two officers chased after him. Mary Cunneen, a commissioner with the Independent Police Complaints Commission, said: “This case illustrates the importance that police officers should be held to account for their actions. Faruk’s brother Dhobir said the family were “very happy” with the “positive outcome” of the misconduct hearing. He said the 2014 incident had affected his brother’s “very bubbly” personality, but that he was now gradually “getting better”. But he said he was unhappy that the force had also cleared its own officers of any wrongdoing over the earlier assault, in 2011, which they reinvestigated in the wake of the 2014 incident. Faruk had been stopped by a police officer who had asked him his name after a member of the public claimed that he “looked suspicious”. When Faruk responded by saying that he was going to eat “fish and chips”, one of the officers accused him of “taking the piss” and pulled him to the floor. Faruk begged them to stop, and even though neighbours who knew him told the officers that he was autistic, they handcuffed him and placed him in a police van. He became so distressed that he wet himself. Bedfordshire police’s own professional standards department subsequently found no wrongdoing by the officers over the 2011 incident, even though the force agreed to place a marker on its system to alert officers to Faruk’s impairment, told the family he should carry a red “autism alert” badge, and promised to improve how its officers were trained. Faruk was wearing his autism alert badge when he was assaulted again in 2014. An internal review of that investigation has now found that there was “no case to answer regarding the conduct of the officers” in 2011. He is set to raise the 2011 incident at a meeting with the force’s chief constable later this month. Dhobir said he did not believe that Faruk and other disabled people in the area were safe and questioned why there did not appear to have been improvements in the force since 2011. He also plans to ask the chief constable what measures the force was taking so that “other people like Faruk will not be in the same situation”. The force’s failure to improve since the 2011 incident is even more concerning as that was the same year that two major inquiries reported into the disability hate crime death of Michael Gilbert, who was held captive by members of the Watt family in Luton for 10 years and was regularly beaten, stabbed, tortured, treated like a slave and had his benefits money stolen. Gilbert was eventually murdered in January 2009, and his body dismembered and thrown into a lake. Bedfordshire police was one of a number of organisations that were seriously criticised for their failings over the case. She said the force was “committed to being autism aware” and had launched “autism hate crime cards”, designed by autistic people, which aim to make it easier for them to report hate crime. She said the force also recognised “the social and communications difficulties associated with autism and the importance of improving the communication between our communities and police officers”. Asked why its treatment of disabled people did not appear to have improved since 2011, she said: “The force is committed to improving the way we deliver services to people with diverse needs in our communities. “We continue to work closely with leading charity Autism Anglia, which will deliver autism awareness training across the force and is part of a wider programme to educate officers about different aspects of mental health.